Micromax continues their tremendous journey to manufacturing smart phones in nominal price category. After the launch of A57 Superfone Ninja3, the Indian mobile company announces their new smart phone which is the fourth one in the Ninja series. Micromax A87 Superfone Ninja 4 is an awesome dual SIM 3G smart phone with Google Android 2.3.5 (Gingerbread) platform. The smart phone has a brilliant 4 inch TFT capacitive touch screen with 480×800 pixel resolution. Micromax A87 Superfone Ninja 4 comes with 1 GHz Qualcomm Snapdragon processor and inbuilt graphic acceleration. The smart phone has sufficient power to play latest java games. Micromax A87 Superfone Ninja 4 has 2MP digital camera which fixed on the rear features digital zoom and fixed focus. There is no LED flash on the handset. Sufficient memory storage of the device is an asset. There is a micro SD card slot on the device which is suitable for micro SD cads. Expandable memory is up to 32GB. Micromax A87 Superfone Ninja 4 is powered by standard, 1400 mAh Li-Ion battery which provides 5 hours talk time and 175 hours standby time. Advanced connectivity options like 3G, Wi-Fi, GPRS, micro USB and Bluetooth are available. 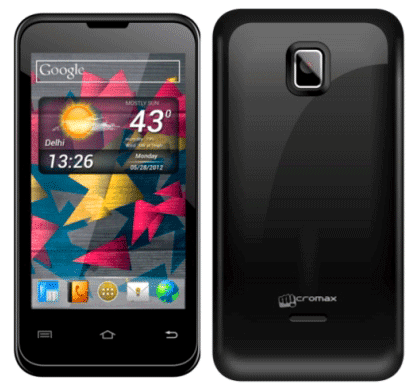 Micromax A87 Superfone Ninja 4 will be available now in Black, White, Black and White colors.